On the occasion of the National Day of the Republic of Serbia, the Consulate General of the Republic of Serbia in Toronto organized a Cocktail party at the Serbian Cultural Center of the "Church of All Serbian Saints" on March 4th, 2019, from 7- 9:30 am. The reception was attended by the bishop of the Canadian Diocese Dr. Mitrofan with the priests, the Minister of Mining and Energy of the Republic of Serbia Aleksandar Antic with the delegation, the Ambassador of the Republic of Serbia to Canada, Mihailo Papazoglu, the Ambassador of Canada to the Republic of Serbia, Kati Caba, MPP tom Rakocevic, members of the Consular Corps, as well as numerous, prominent members of the Serbian Diaspora, representatives of associations, associations, humanitarian organizations. The reception was also attended by the President of the Serbian National Academy in Canada, Žarko Brestovac, winner of the gold medal on the basis of President R. Serbia, numerous journalists of the most important Serbian media in Ontario, "Serbian Television Toronto", "Newspapers", "SAN", "News", "Source" and others. The ceremony was attended by other Canadian and Serbian businessmen, as well as the president and members of the Canadian-Serbian Association of Businessmen "CANSEE" (Canadian Serbian Business Association). The Reception was supported by the Club of sponsors, which was founded on the initiative of Serbian Consul General Vasilije Petkovic. 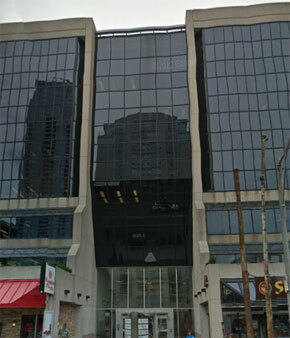 The members of the Club are the owners of the following companies: Modular Homes, Advanced Coatings, Zoran Kitchens and Bath INC, Delta B Electronic INC, 747 Travel Toronto, JIT Road Transportation, Pirlitor Machine and Tool LTD, Zoran Properties INC, Wyndham Street Investments INC, Interex Constructions INC, Esbee Construction CORP and Royal Meats Barbeque. After the Choir "Saint Sava" performed the Serbian and Canadian national anthems ,His Grace Bishop, Dr. Mitrofan blessed the event. 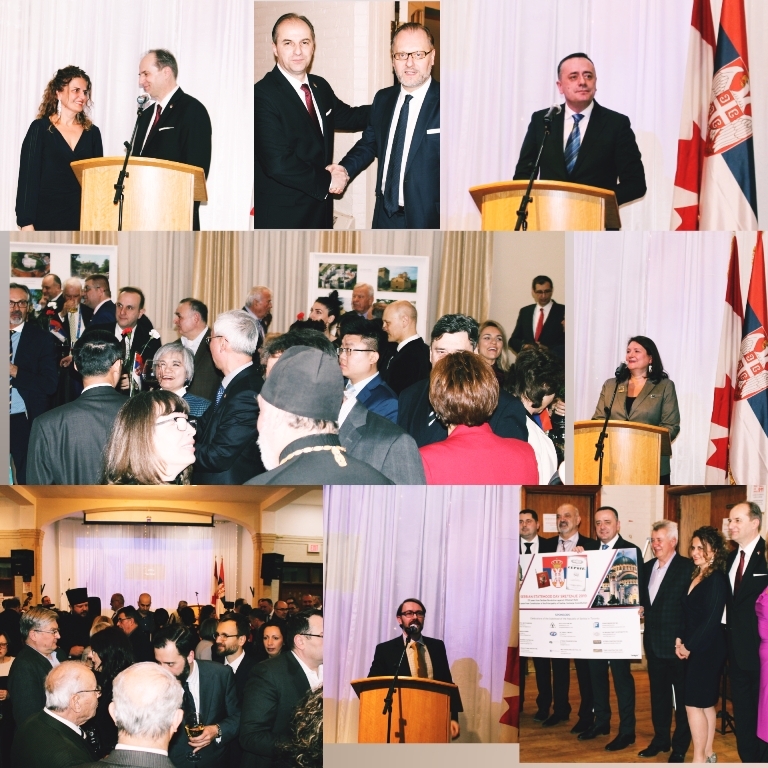 As a host of the event, Consul General V. Petkovic greeted the distinguished guests, thanking the Canadian Diocese of the SPC and sponsors for their contribution to the organization of the Reception of the NAtional Day of the Republic of Serbia, as well as to all the guests and colleagues from the Consular Corps. He briefly presented the circumstances of the First Serbian Uprising against the Ottoman Empire in 1804 and the adoption of the first modern Constitution of the Principality of Serbia in 1835 and its importance for the later development of our state and society. 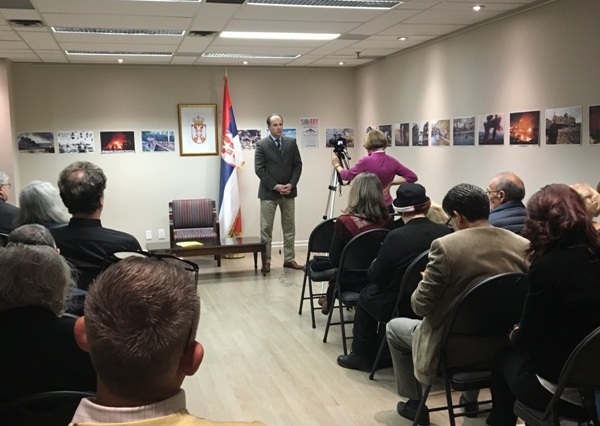 He expressed his satisfaction with excellent cooperation between the Serbian Consulate General in Toronto, the Diocese of Canada and Serbian community and therefore, promoting the Serbian Society and it's importance to the Canadian society and Canada as a state. Ambassador M. Papazoglu emphasized the importance of the development of Serbian-Canadian political and economic relations and in that direction contributed to the Serbian Diaspora, emphasizing, inter alia, the significance of the activities of the "Nikola Tesla Corporation" from Hamilton, which contributed to one of the largest boulevards in that part of Ontario bearing the name of our famous scientist Nikola Tesla. He emphasized the importance of other Serbian associations as well as honorary consulates to improve the position of the Serbian community in Canada. He particularly thanked Canadian-Serbian Association of Businessmen "CANSEE" for continuous work towards the development of economic relations between the two countries. Special guest, Minister A. Antić thanked for warm welcome saying that wherever the Serbs are "he always feels at home". He said that Serbia, in its rich history, has gone through many difficult moments, but is determined to find the best solutions to the problems in accordance with the glorious historical and cultural heritage. He highlighted the comparative advantages of investing in the economy of our country, which were recognized by large world companies, among which are Canadian companies as well. In that direction, he informed that during the visit to the International Trade Fair of Mining and Energy in Toronto PDAC, held 2-6. March, had several useful and constructive meetings with Canadian and Ontario businessmen who are interested in cooperation and investment in the Serbian economy. Canadian ambassador to Serbia Kati Csaba, addressing in a god Serbian language, congratulated the National Day and thanked the organizer of the Reception and the attendees for the invitation and the opportunity to reassure her of the traditional Serbian hospitality. She emphasized that she is professionally and privately very pleased that she was been given the opportunity to serve in Serbia and therefore to met the Serbian people and his tradition and culture. She insisted that Serbian-Canadian relations, which are traditionally very good, have a further rise in the political and economic plan, has been significantly contributed by the Serbian diaspora in Canada. 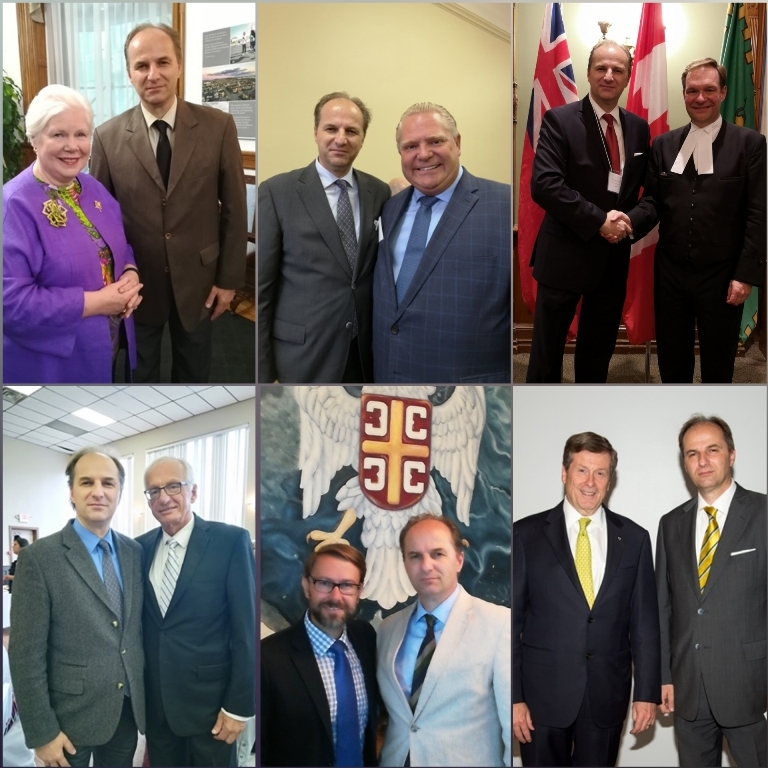 Member of the Ontario Parliament MPP Tom Rakocevic (the third generation of Serbian immigrants from Montenegro, born in Canada), after he greeted Minister Antic and other distinguished guests, evoked childhood memories in an environment of elderly people who spoke the Serbian language, going to church and described their homeland with great love. He said that he had never forgotten his origins and that he still largely feels affiliated with the Serbian community in Canada. After the speeches, a short cultural, artistic program and folk dances were performed by the St Sava folk dance group. Guests were invited to view the exhibition of photographs of the cultural heritage of Serbia with a special reference to Serbian churches and monasteries in Kosovo and Metohia.